The Colorado River—that ancient and mighty flow that has carved the landscape of the American West over millennia—serves as a primary water source for approximately 40 million people. But there is a stretch in the headwaters that at times runs so low and weak it has trouble sustaining some of its oldest inhabitants. 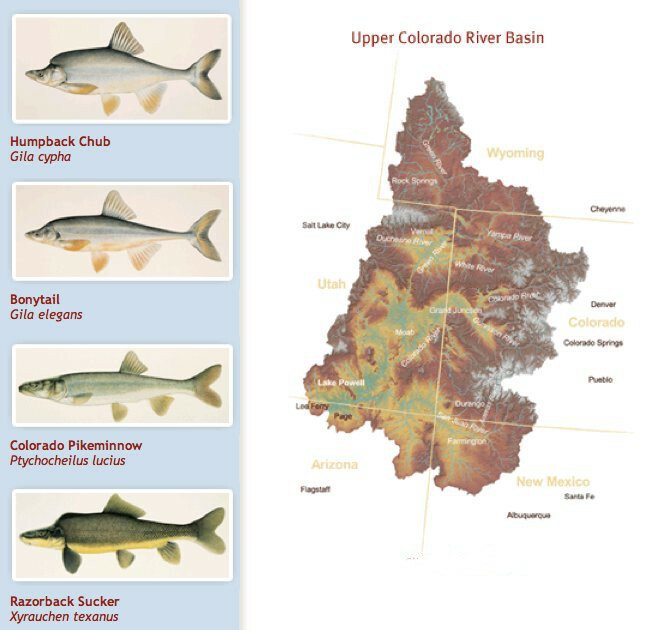 This stretch, known as the 15-Mile Reach, is home to four federally endangered fish species–the Colorado Pikeminnow, Humpback Chub, Bonytail and Razorback Sucker. In the springtime, when irrigation diversions begin but snowpack runoff is still nominal, the 15-Mile Reach can drop to dangerously low levels. Now, a groundbreaking deal between Walton Family Foundation grantee the Colorado Water Trust, the Orchard Mesa Irrigation District, Grand Valley Water Users Association and the U.S. Bureau of Reclamation, which manages water and power in the West, have secured a legal mechanism to be able to send more water down the river at critical times through a creative arrangement that both enhances environmental and recreational flows and protects existing water rights. The deal provides habitat protection for these embattled fish species by bringing more water into the Reach when it is needed. This mechanism allows water to be protected from the point of conservation all the way down and through any excess capacity at the Grand Valley Power Plant, then provides instream flow benefits down and through the 15-Mile Reach. The agreement, like many involving water in the West, required resourceful thinking among all participants. That’s because under current state law, there aren’t many options for upstream water rights owners to send some of their water downstream for the benefit of conservation without going through an often protracted water court process. And some might question whether using a water right, even for this kind of worthy cause, meets the “beneficial use” standard required by law. 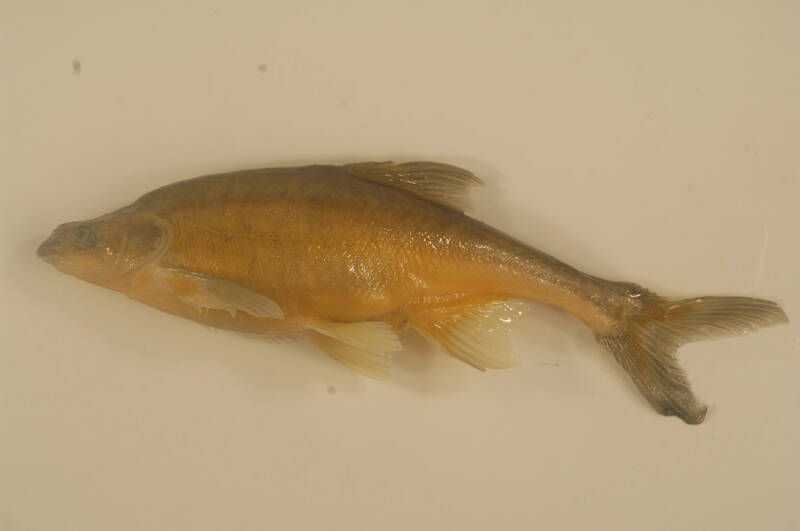 Humpback chub are one of four federally endangered fish species that rely on habitat in the 15-Mile Reach of the Colorado River. Humpback chub photo credit US Fish and Wildlife Service. Faced with that hurdle, the partners needed to find another path forward that met that strict legal requirement. They found their solution just north of the Reach in the aging Grand Valley hydro-electric facility. Built in 1933, the plant is now undergoing a substantial renovation with help from the Colorado Water Trust. 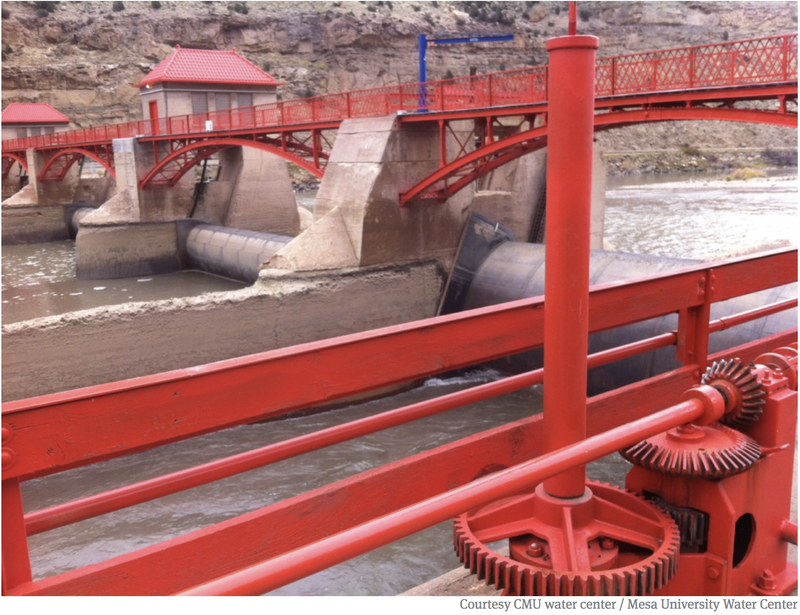 The Trust was able to lease excess capacity in the hydropower plant, and the Orchard Mesa Irrigation District used these proceeds from this lease to help pay for some of the renovations. This kind of creative win-win solution is a model for how we manage the river in the future. By bringing clean power into the equation, the deal operates under the umbrella of existing law to give water rights owners the flexibility and go-ahead to support a healthy and sustainable river ecosystem. 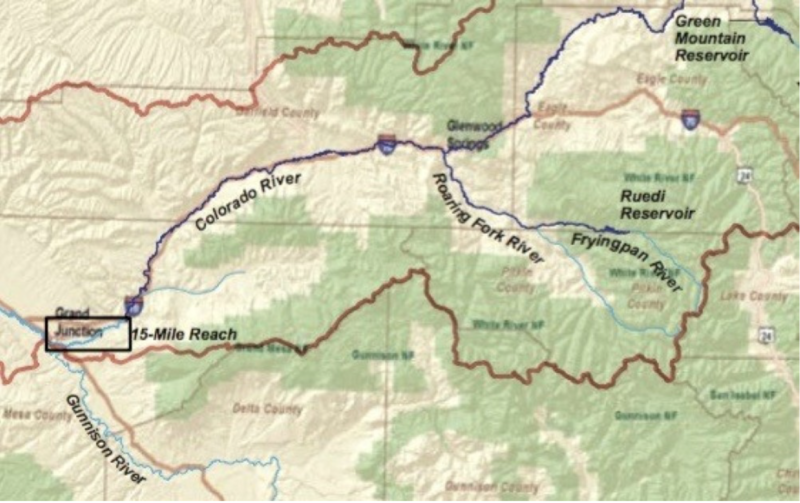 “The agreement sends water to a critical reach of the river without requiring a permanent change to those water rights,” explains Anne Castle, a Colorado water lawyer and former assistant secretary for water and science at the U.S. Interior Department. Anne helped broker the groundbreaking deal. The final agreement is an innovative “three-fer” that provides multiple benefits. First, the water is protected for instream flow benefits from the original point of use down to the hydropower plant. Then, the water’s momentum is harnessed by the plant and converted to clean energy. Finally, the water continues downstream, augmenting the 15-Mile Reach and helping the river flow at healthier levels, which benefits the fish. Water is scarce in the West. Securing the necessary federal, state and local approvals can require a great deal of coordination—and more than a little ingenuity. This is precisely why this nimble approach is such a landmark achievement. 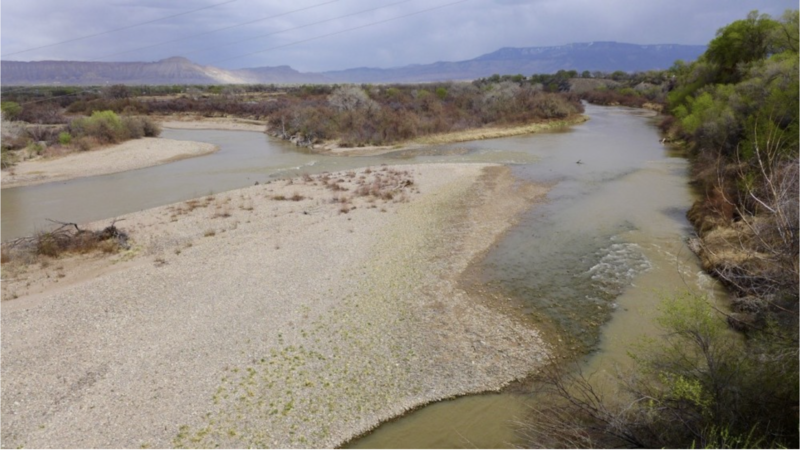 As the health of the Colorado River Basin reaches a critical inflection point, with demand for water now exceeding supply, more agile, innovative projects like what is being accomplished for the 15-Mile Reach offer a new vision for a water-strapped West. Complex problems often require innovative solutions. As growing populations continue to rely on the 1,500 miles of the Colorado River, this victory proves that progress is possible—often one mile at a time.